Posted 24.03.2017 by Fascinating Rhythm & filed under Uncategorized. 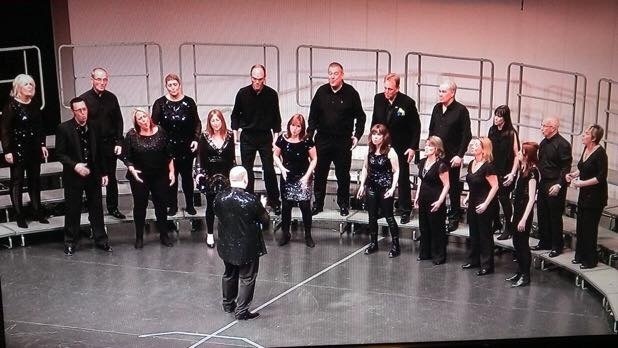 We had a lovely surprise on 16th March – Planet 24 (The Venus & Mars A Cappella Company) came to showcase the songs that they are competing with at the Bath Music Festival on Saturday 25th March. Made up of members from The Great Western Chorus, Black Sheep and Fascinating Rhythm, this mixed group entertained us with an eclectic mix of songs. We wish them every success – watch this space for the results!